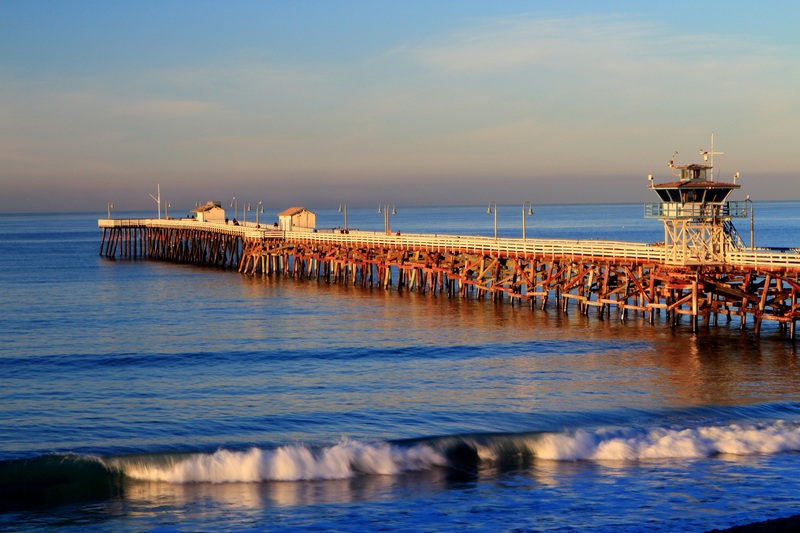 San Clemente is a city in Orange County, California. The population was 63,522 at the 2010 census. Located on the California Coast, midway between Los Angeles and San Diego at the southern tip of the county, it is known for its ocean, hill, and mountain views, a pleasant climate and its Spanish Colonial style architecture. San Clemente's city slogan is "Spanish Village by the Sea". The official city flower is the Bougainvillea; the official city tree, the Coral. San Clemente has a Mediterranean climate where temperatures tend to average in the 70s °F. The warmest month of the year is August, with an average temperature of 79 °F (26 °C). The coldest month is December with an average temperature of 64 °F (18 °C). The annual rainfall in 2010 was 10.5 inches (270 mm) and the annual days of sunshine 310. Based on information from California Regional Multiple Listing Service, Inc. as of Apr 19, 2019 4:47:am. This information is for your personal, non-commercial use and may not be used for any purpose other than to identify prospective properties you may be interested in purchasing. Display of MLS data is usually deemed reliable but is NOT guaranteed accurate by the MLS. Buyers are responsible for verifying the accuracy of all information and should investigate the data themselves or retain appropriate professionals. Information from sources other than the Listing Agent may have been included in the MLS data. Unless otherwise specified in writing, Broker/Agent has not and will not verify any information obtained from other sources. The Broker/Agent providing the information contained herein may or may not have been the Listing and/or Selling Agent.